The picture in this post tells the story for sure. Last night when I was doing some research this new family aquatic center in Frankfort was pointed out to me. I knew that Kentucky Family Fun had to feature it and quickly, it was snowing at my house! I have decided that we need to focus on warm weather activities so that we can get the warmer weather here in Kentucky to stay! This rendering of what the center look like is from the Frankfort Parks and Rec website. of course a traditional lap pool. 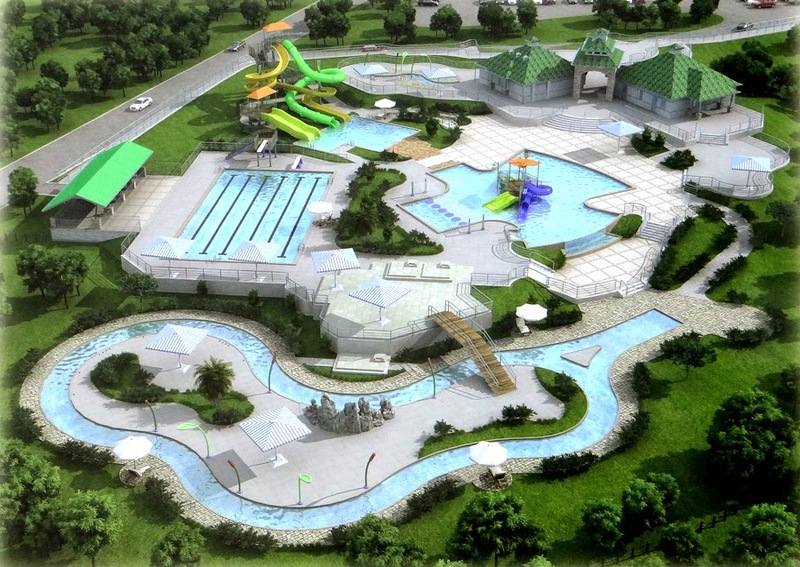 Do you think that you and your family will make the trip to Frankfort to visit when it opens this summer? Season Passes options available - see website for more details! When does the new Juniper Hill open? Final date for opening is TBD but it's expected for this summer 2015! Are there lawn chairs pool side and inner tubes at the lazy river are the water park? Kelly - Please call the venue for specific questions to make sure you get the most accurate and up-to-date info! We drove past a couple weeks ago to check it out. It looked really nice, but the water slides were not built yet. Not sure when they are expected to open. Are the slides open yet? Please call the venue for up-to-date info as they open things!